I LOVE Mexican punched tin ornaments and have a fairly large collection. And I love the coyotes that we see slinking around here in New Mexico. 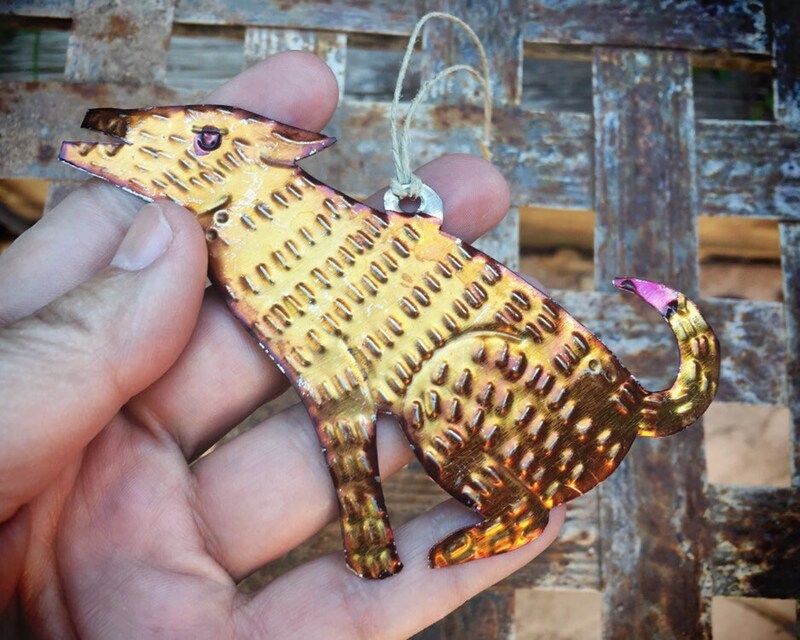 So of course, I absolutely love this Mexican tin ornament of a howling coyote. The ornament has some bends and areas where the paint has rubbed off but it is still vibrant and fun. Use as a Christmas ornament or just hang near your desk to be reminded of how wiley and scrappy coyotes are. This ornament measures about 3" wide by about 4" tall. The tin is thin yet not flimsy. 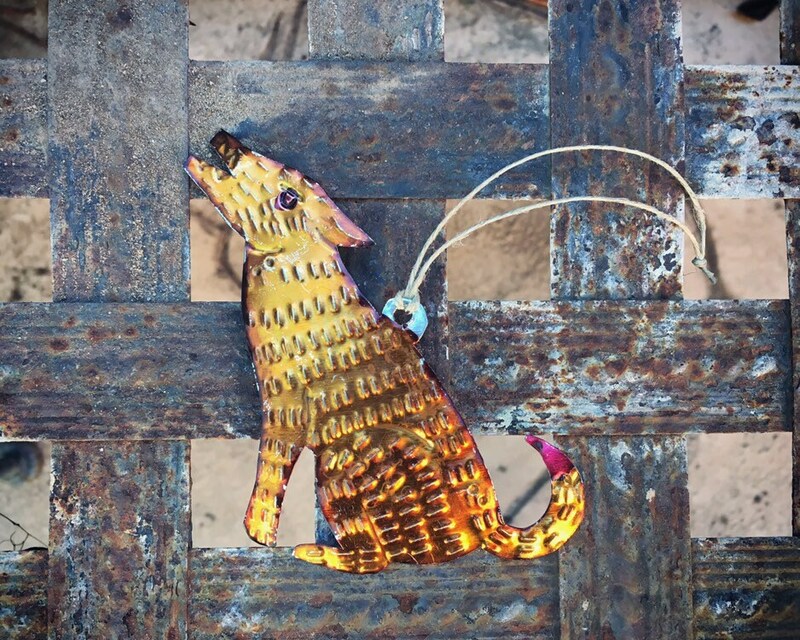 Painted on both sides, and vibrant paint does reflect light, which is the magic of these Mexican tin ornaments. 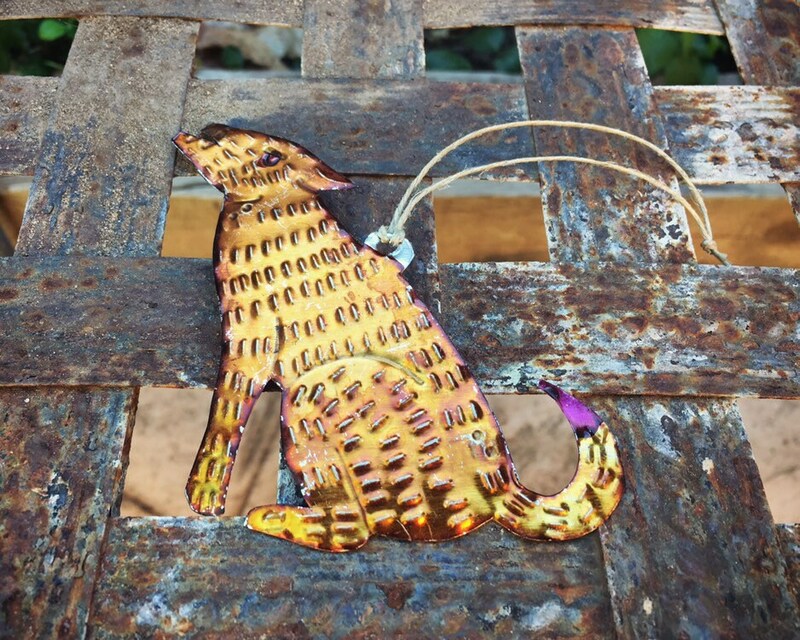 Perfect for the lover of coyotes and wolves and the Southwest! 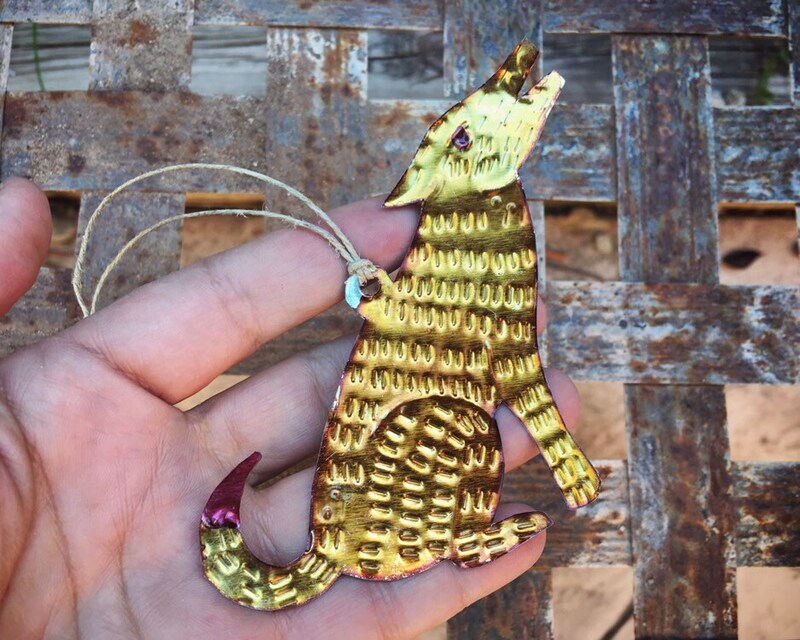 Love this little coyote ornament so much. Having just moved from Arizona to California, I'm trying to fill my new home with as much desert things as possible to remind me of my old home. This was a wonderful addition! Looks great in person and was delivered quickly.